Wash the sweet peppers, dry with a kitchen towel and roast on the grill/oven, on each side, being careful not to burn. 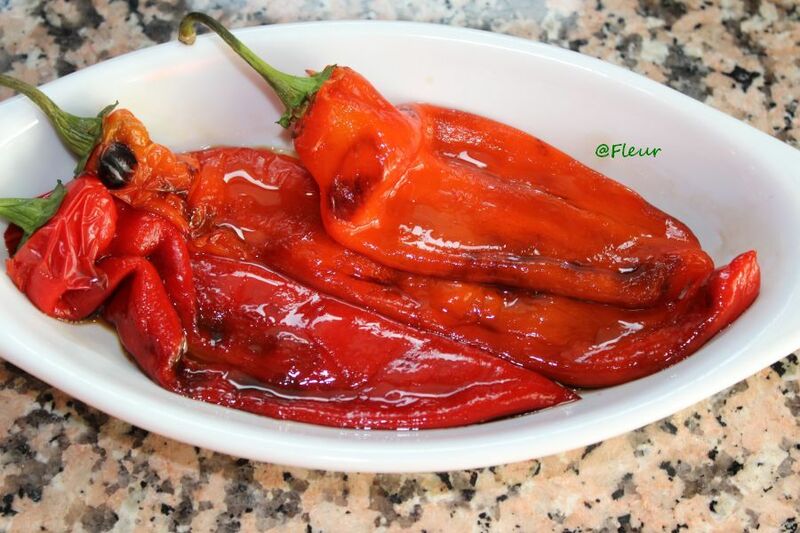 Put the roasted peppers in a pan, sprinkle with salt and cover. Allow them to rest for approx. 10 minutes than peel them (dip your fingers in cold water to release the peel). Prepare a sauce of olive oil, balsamic vinegar and salt. Pour over the peppers. Serve cold as salad, along with various dishes (rice, stews, etc.). Note: You can store the roasted peppers in sterilized jars for the winter. Creat de: fleur laSaturday September 21st, 2013.la09:34 AM.